Friday is upon us, friends! I am so looking forward to this weekend. Nothing too special is planned- just lots of rest, relaxation, and a photography class! It's time I learned how to use that DSLR camera, don't ya think? 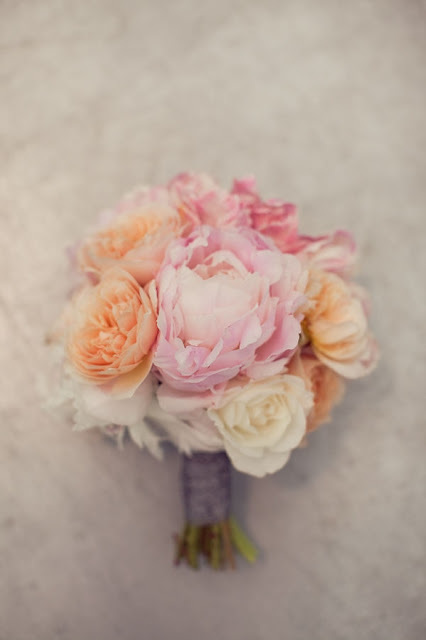 Since wedding season is just over the horizon, I decided to share some wedding inspiration with you today. The theme is "vintage chic." Soft, feminine touches. Antique furniture. Rustic chairs. Classic elegance. Although my tastes are quite eclectic, I think this might be my dream wedding palette. 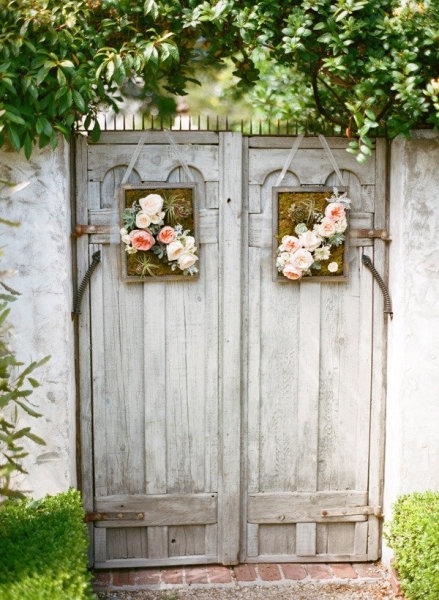 This would be the perfect entryway to a vintage chic wedding. 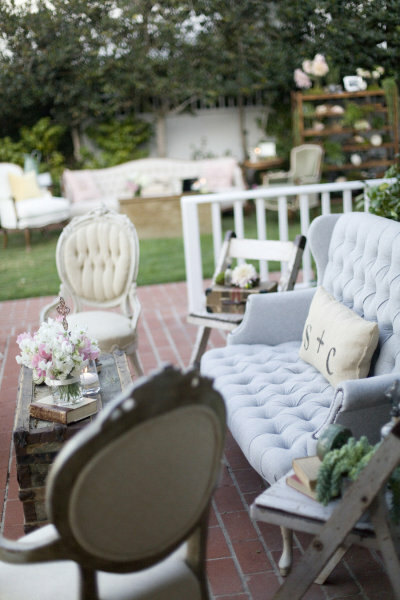 Ideally, the ceremony would be held in a lush garden with lots of trees. These doors would be closed right before the bride appeared to walk down the aisle. Wouldn't it be a dream? The ceremony setting would look something like this. 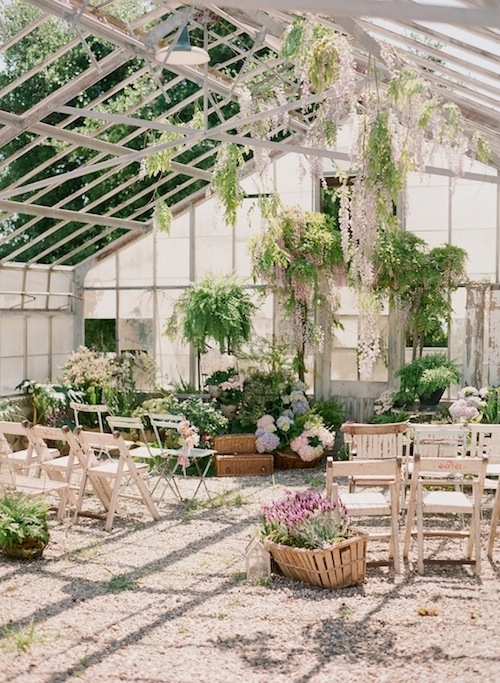 I think I'd need more chairs, but I just adore the setting in a garden or greenhouse. It creates such an intimate, lovely environment. This antique vehicle would be the perfect getaway car. 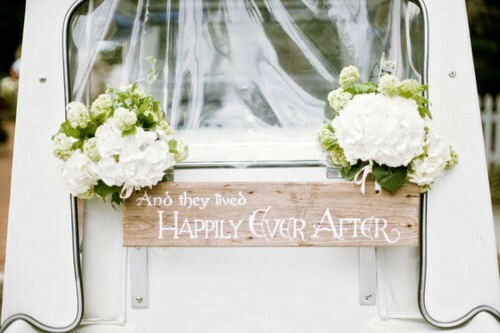 "And they would live happily ever after..."
Beautiful inspiration! Love these images! I love this- Such sweet images! So pretty. I especially love that greenhouse/conservatory! 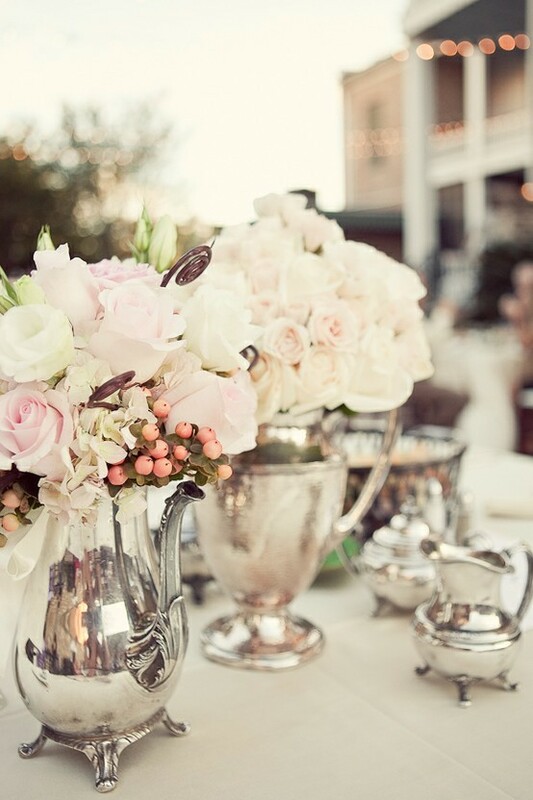 And the second pic makes me want to bust out my vintage silver tea set from storage. this color scheme is absolutely perfect! That cake is so so so beautiful! just....simply...beautiful. Everything is so gorgeous with that sense of nostaligia from the vintage furniture and decor....wooow. my dream wedding perhaps? So beautiful! 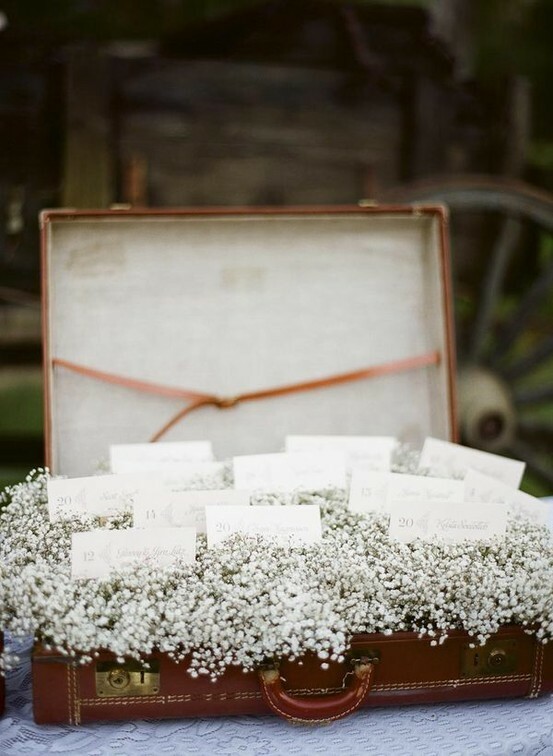 Love vintage themed weddings, they are always so personal and unique! Love this vintage look for weddings! So gorgeous! Have a great weekend pretty girl! vintage chic is one of my favorite looks. Let me know how your class goes. I needs to get on the DSLR camp. Have a great weekend! I agree completely! These images are so beautiful. 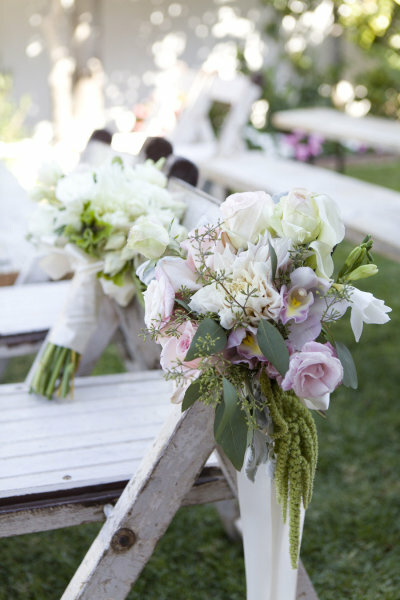 A wedding in a garden or greenhouse with all of those beautiful florals would be a dream. its all very beautiful. 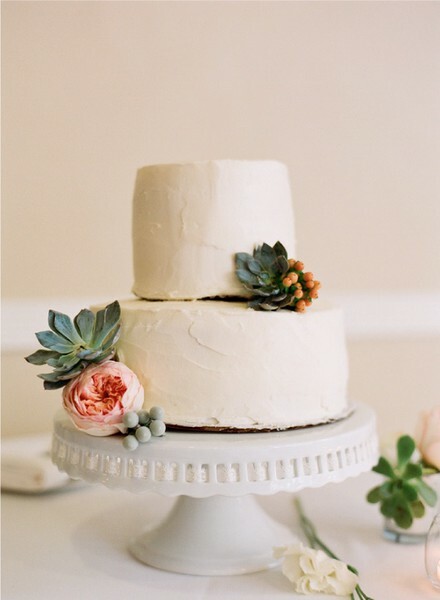 i really like the simple design of the cake decor. I can picture this entire wedding from start to finish! I'm all for a vintage wedding outdoors :) Hope you had a good weekend! Love this color palette! This would be a beautiful wedding! Stunning. All of it. I'm about to pin every one of these!